Do you a professional company to handle your Pressure Washing Services in Dunnellon? Start from the top of your home and notice how it looks. Do you notice mold or mildew stains? Is it looking less than flattering when you look up? 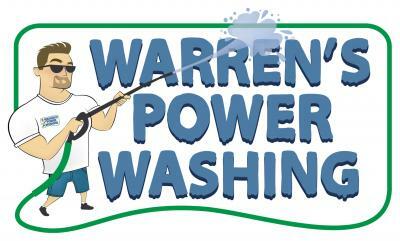 Then Warren’s Power Washing can your pressure washing services needs in Dunnellon. Our Dunnellon pressure washing services provided by our team is what you’re looking for. With a low-pressure washing system, our technician will wash your roof from a ladder, instead of walking on the rooftop itself. There’s also another experienced technician on standby watching the vegetation and décor you have around your home to ensure nothing is damaged in the process. Whether your driveway is looking less than inviting or your concrete around your pool needs a touchup, our team of pressure washers in Dunnellon can assist you. We can remove stains on your concrete, clean up the pool area without debris being pushed into the pool, and bring your concrete back to life. Your pool enclosure should be clean and inviting as well. The cleaning solution we use has been tried and tested through many years and will not affect the water in your pool. As a matter of fact, after our team has completed the cleaning process, you can go swimming right away. Most homes built in Dunnellon, FL and the surrounding areas a concrete block with stucco. When you have well water, it can leave stains on your home or the home itself can become dirty and dingy looking over time. Our team uses low-pressure systems to pressure wash your Dunnellon home to remove stains and have it sparkling again. With our system, you can rest assured your home will not be damaged and you’re going to love the fresh, new look of your home. Contact our team today to schedule your pressure washing in Dunnellon appointment!